However, there was one I missed. It’s called the “BRIGHT Futures Act”. It’s from the NC Senate, and is also S56. My fellow anti CCSS Warrior, Andrea Dillon, shared news and video of this Bill on the “American Lens” Facebook page. In the video, our Lt. Governor is waxing joyously about how a “Last Mile” for NC is about to be reached. What is he referring to? “Digital Connectivity” ties rural education to the CCSS Machine through aligned workforce based education as laid out in ESSA, HEA (Higher Education Act), and WIOA (Workforce Innovation and Opportunity Act). “Digital Connectivity” was also a huge portion of the U.S. House of Representative’s HR5 (Student Success Act). You may recall, HR5 was the House’s version to re-authorize ESEA of 1965 (Elementary and Secondary Education Act). As a compromise, big parts of HR5 were taken and added to the U.S. Senate’s version of ESEA’s re-authorization, called “Every Child Achieves Act”, or S1177. As we now know, S1177 is the Bill which survived and changed its name to ESSA to reflect all that ‘bi-partisan’ work from Congress. The digital mandates are now coming to fruition. Conveniently completed from a State level with Bills such as “Bright Futures”. Before we go on finding out how NC’s S65 is helping ESSA ‘set up shop’ in NC, let me say that I have no idea how many States have similar legislation. I have no clue how many NC State Leaders are pushing for all the ‘digital connectivity’ items they can get their hands on. However, I do know, that our State has a long history on jumping on the ‘fed ed’ bandwagon several times. That NC has jumped on this bandwagon is no shocker. Why? NC was the first State to jump on board with Microsoft through their Microsoft IT Academy. As we know, Microsoft is a huge digital, CCSS Machine organization. We know Bill Gates is Microsoft’s ‘guy’. We also know Gates is the one who signed an agreement with UNESCO for a one world curriculum, which grew into the CCSSI (Common Core State Standards Initiative). We see the CCSSI in the pages of ESSA, too. Literally. *Note: In ESSA, we also see the name change from “CCSS” (Common Core State Standards) to its less ‘vile’ name, ‘College and Career Readiness’. ESSA’s writers like to use that phrase. Along with the even more innocent sounding “Challenging State Academic Standards”. ESSA’s writers also threw in the ‘Career Technical Education (CTE)’ phrase. So, what have Microsoft and NC been up to more recently than 2010? This short You Tube video (2013) will introduce you to the “Imagine Academy”. *BRIGHT stands for “Broadband, Retail Services on-line, Internet of things, GridPower, Health care, and, Training and education”. You’ll also see I added some emphasis to Page 1 of S65. These items are very important clues to those of us fighting federally led education in ALL age groups. While the legislators promoting this Bill are calling this a great thing for NC, here are the parts they either left out by omission (assuming they have no idea how vast the CCSS Machine’s grip on workforce education is) OR by design. a) P3s (Public-Private Partnerships) in education have created a disgrace to the classical, academic basis our students need. b) Workforce based education, especially in adult populations ties back to WIOA and HEA, espically through the one-stop-job-centers here in NC. Called “NCWorks” it is a direct product of WIOA state grant money awarded to NC. Why? WIOA grant money given to ANY State has an underlying purpose: using the job center data to ‘marry’ with the student data to create a seamless Career Tech/Career Pathway education! It is the ‘perfect’ setup. The student data, as we know, comes from the Dept. of Education; likewise, the job data comes from the Dept. of Labor. Both happen at the Federal level AND the State level!! c) Making improvements in your State for better education/access to shouldn’t come about as a by-product of your economy. Those improvements should never place the importance of money over our students. Using a phrase like ‘all means necessary’ is also a big warning. d) Governor appointed positions spell bad news for the State citizens, regardless of what Council or Committee it is. Special interests are vastly protected with these appointments. 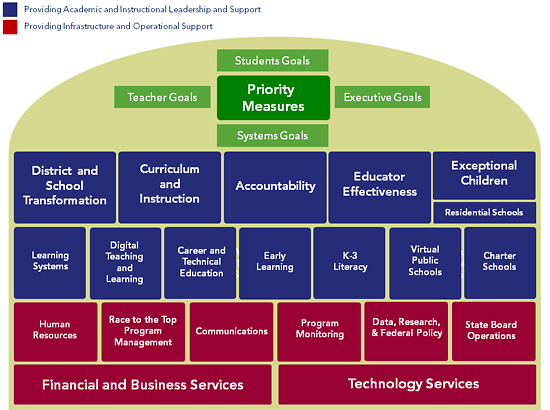 e) Near the bottom of Page 1 (Line 27), “School Connectivity Initiative and Digital Learning Plan” are inserted. The SCI (School Connectivity Initiative) has been around a few years. Here’s what is does, “The NC School Connectivity Initiative (SCI) compliments the E-rate program in North Carolina by providing state funding to cover the non-discounted portion of school connectivity-related charges. The SCI also provides a statewide network connecting all LEAs and most charter schools to the Internet, E-rate training and support, and network engineering services.” Source: Page 18 of the NC Digital Learning Plan (*Note: E-Rates are those small charges on your phone bill. They, too, can be traced back to the CCSS Machine. E-Rates basically are funds used to data mine your students.) According to the NC Digital Plan, at the bottom of Page 18, it is revealed the E-rates used for NC are based on Free and Reduced Lunch Program. The NC Digital Plan also is part of the CCSS Machine’s plan for continued alignment in education. How do I know this? CCSS Machine member, The Friday Institute, is the one which published the detailed Plan in 2015. Among the Plan’s pages is the fact other States using Digital Learning Plans were used as models for NC. The roots for NC’s Digital shift in education go back to 1999. The CCSS Machine entered the digital push about the time Race to the Top surfaced. I would urge any of you with proven research as to how digital devices are so dangerous in the hands of our youngest learners or how too much screen time is dangerous for any age student, to please contact the Lt. Governor and every one of the S65 Sponsoring Legislators. So, pardon me, if I’m not seeing such a BRIGHT NC Future. What I do see is a NC committeed more to the federal government than to its citizens. I urge all of you who live in rural counties and states, use this article as an example of what is going on right under our noses to align everyone in education to the same thing! Monday Musings: Learning for Whom?! Have you heard of this group? They’ve got your school’s data. We all know that the CCSS Machine is sparing no expense to grab onto our student’s personal information, today’s post will highlight this particular company’s foray into the educational world. On the website (https://www.learnsprout.com/ews) you’ll find the false argument for ‘closing the skills gap’ that’s been so overused by the CCSS Machine. You’ll see how “LS” has an ‘early warning system” available for use in regards to the skills gap. This is a special Fib-o-Meter Friday for those of us opposed to Common Core Standards and all that goes with them. Come along with me as we look at the truths, fallacies, and other mutterings from the Council of Chief State School Officers from this past week’s gathering. In order to frame this article in the proper context, I would ask that you try to remember an 80s song called “Hungry Eyes” by Eric Carmen. There’s one line that suits the CCSSO’s grasp on not only American Education, but our entire American set of values, ways of life, and how we live them. While your kids may be in their sights, WE are watching them! Yes, warriors, it’s “Total Truth”, at least in their plans to have our kids achieving the ‘collective good’. What other evidence can we find to support this? Let’s see….from the CCSSO President Dr. June Atkinson’s prepared remarks in her address to her underlings in the CCSSO, the following excerpt, “In North Carolina, for example, we have a statewide technology platform called Home Base. This comprehensive technology system incorporates student information, a parent portal, instructional improvement, educator evaluation and professional development tools all in one place.” Yes, it’s the “Total Truth” that “Home Base” is in use. BUT, what wasn’t shared was the fact that Pearson Publishing runs the platform. So, all that student data gets mined through Home Base! Data that is VERY private about NC’s students! Data that goes to a wide variety of ‘customers’. Need a bit more evidence? May I offer the following: Pearson’s ‘Power School’ which is a portion of the “Home Base”, has turned out to be a resounding dud in NC, but that “Total Truth” wasn’t mentioned in the CCSSO address. To get the rest of THAT story, see: http://ladyliberty1885.com/2014/11/11/pearsons-powerschool-redefines-epic-fail-in-nc/. Be sure to access her links in the article. There are first person accounts of just how far the data trail goes. To see the Tweets connected to the CCSSO Legislative Session, which cover the push for re-authorizing the ESEA (HR5, or Student Success Act) to meeting with Congress, Sec. Duncan, and more drama than a bad soap opera, use the “CCSSOLeg” handle next time you log on to Twitter. As far as the SEAs and LEAs, I’m including the entire Task Force Report for your research. Suffice it to say CCSSO believes it is their ‘responsibility and promise’ to ensure EVERY student is college/career ready AND that those teaching will be in total alignment with the process. See their report: Our Responsibility Our Promise_2012. For the CCSSO to assume every student’s future is their responsibility/promise is “Total Fallacy”. How presumptuous can one organization be?! 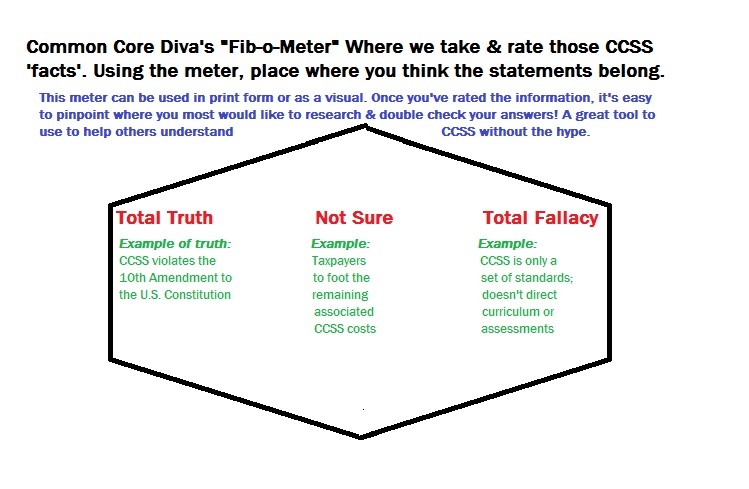 Lastly, the Fib-o-Meter offers you the “Total Truth” of how vested CCSSO is in ‘collective’/’greater good’, etc. As many of you may know, I am a full time care taker to my mom since her diagnosis with a terminal disease earlier this year. That said, my Diva family and I will be gathering this weekend to celebrate her birthday. I am looking forward to joining my warrior family (that’s you) back on Monday, March 30th. How about a cradle to career conference? The CCSSO’s (Council of Chief State School Officers) partners of Knowledge Works and Strive Together are hosting one soon! Common Core is sure to be there! 1) http://missourieducationwatchdog.com/public-education-as-workforce-training-is-workkeys-in-your-state/ (*Note: The opening screen shot to her article is the same one I used in the Prevent Common Core article. The only difference is at the bottom left hand corner). A network of communities more aligned than they may know. Cradle to Career Vision & Scope – A vision for improving education outcomes for students beginning at birth, continuing into and through secondary and into and through post-secondary schooling until they secure a meaningful career. Just released from the Common Core Standards laden group, Foundation for Excellence in Education, is a report titled (and this is NO joke) “Turn and Face the Strain”. The report is a true ‘gloom, doom, and we’ll all perish UNLESS we adhere to FEE’s way of aligning education’..This one’s going to be good, so, let’s crank up the Fib-o-Meter, shall we??!! The Truth?! Are You Kidding Me?! That brief look at the groups behind the report should help you understand the agenda behind the report. Even the title of the report is designed to be incite a fear tactic. I guess they think the CCSS bandwagon is parked outside our doors, ready to swoop us up and carry us away. Sorry, Foundations for CC, not today, you don’t! So (and I’m guessing here) that by the report using 2010 data in their large printed paragraphs and blurbs to get your attention is to help you feel better about the 2012 data NOT being used. But then, the report says it’s using other years of data to..all to make the ‘facts’ and ‘figures’ add up to their agenda. From this point in the report, the rhetoric shifts a bit to the massive amount of state debt we’ll see surrounding education spending. Add to that all the elder care money, and we’re all sailing down the creek without our proverbial paddle. The “Total Truth” of this excerpt is yes, many students will be in American classrooms. Does that mean it has to be the CCSS classroom, though?? NO! Again, more ‘Total Truth’ about Common Core, there are several U.S. Federal Agencies hooked into the Core, the top three: U.S. Dept. of Education; U.S. Dept. of Labor AND the U.S. Dept. of Health and Human Services!! Of course they findings, reports, and resources all point to the ‘fierce battle’! If these departments can divide us in a false battle, we’ll be easier to be distracted about what’s going on. We must be attentive in our fight against Common Core. Don’t just take one side’s information and assume it stops there! As if, by now, you haven’t had enough Fib-o-Meter detecting, I’ll leave the rest of the report for you to dive into. Note though, that it’s from the above points to the conclusion that the mindset you are to glean is one of ‘we must act now’! How do they try to sell it? Minds-are-horrible-to-waste, our-system-is-flat-lined-in-education, our-global-competition-game-needs-some-moxy, we-must-rely-on-the-twisted-NAEP-scale-to-measure-our-schools, and more. “Total Fallacy” enough to keep your Fib-o-Meter churning for hours. As we shut down the Fib-o-Meter for another week, please know that I do understand we have many problems in America that do need serious attention. Education is at the top of the list. Certainly caring for our families is of even more importance than education. At least from my backyard view, it is. However, I cannot understand how aligning all that we do and all of whom we are is the sensible solution. We must remember that CCSS is a violation of our U.S. Constitution! We must realize our federal government has already so grossly abused its power in BOTH healthcare and education that the fierce battle isn’t between education and healthcare, it’s between a country and her people. It’s us against Common Core. The battle IS there, the warriors ARE here, but let’s be frank Foundations who created this report: you didn’t speak the truth about WHERE the battle lies! So, they want to turn the tide to CC, we can turn the tide AGAINST CC! A strained face you can believe. 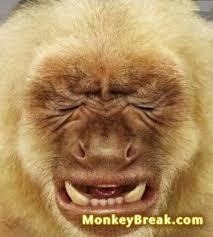 This “Strained Report”, notsomuch. 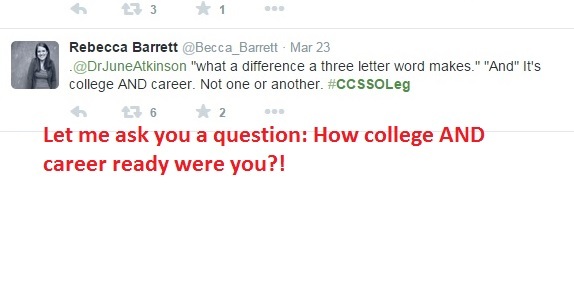 Now you know, CCSS is most decidedly post high school. Thank you for joining me last night as I went in-depth on the topic of a CCSS aligned work force. It is my hope you were able to glean helpful information to aid your battle in your state. 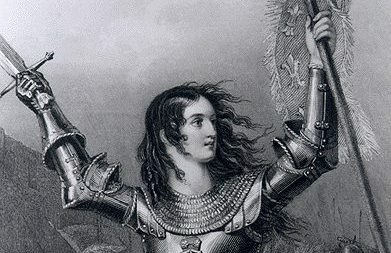 ‘Women on the Wall’ archives each call, so if you missed anything, you can access it from their website. Commission on Workforce Development Strategic Plan 2014-16 I’m leading off my post for today with my state’s Report for how it is planning on carrying out Workforce training. Yes, involved in the thick of it, is Common Core, Career Pathways, and lots of other connecting ties. In this report, you’ll learn the name of the Commission which makes the Workforce related decisions THEN advises the General Assembly and our Governor. You’ll discover their ‘master plan’ which includes data mining. You’ll get to see which groups at state level are partnering to align NC. Those involved according to this report? The Dept. of Administration(NC DOA), the Dept. of Commerce(NC DOC), the North Carolina Community College System, the North Carolina Dept. of Health and Human Services(NC DHHS), and finally, the North Carolina Dept. of Public Instruction. What’s interesting is that the NC Dept. of Public Instruction is under the authority of the General Assembly which is contained in our Legislative Branch. Contrast that with those private schools, and homeschools which are under the guidance of the Dept. of Non Public Instruction(NC DNPE), which is in the Dept. of Administration. Community colleges, public colleges and universities are also housed in the Dept. of Administration. What about the Dept. of Commerce? It too, is in the Dept. of Administration. As far as the proprietary post secondary schools(for profit schools such as Nascar Tech, DeVry, etc.? They are housed with the NC Community College System(NCCCS). 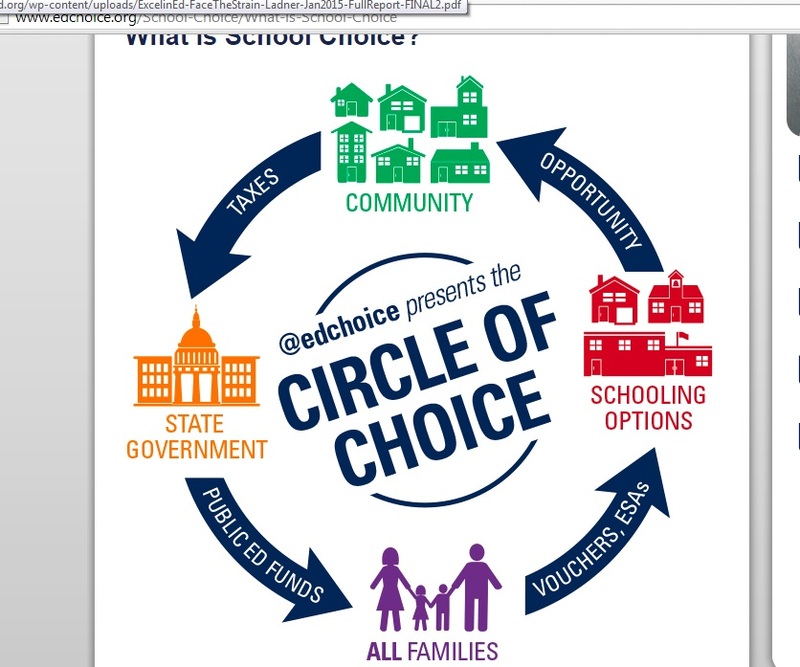 Charter schools depending on their status us ‘public’ or ‘private’ would be respectively, NC DPI and NC DNPE. Note where Career and Technical Education is housed. The NC DPI (Dept. of Public Instruction). Which answers to the NC General Assembly, in the Legislative Branch. According to the Report from our Workforce Commission, lots and lots of money from the federal level and the state level has been poured into aligning. (see page 4 of the Report). So, why would I share all these figures? Simply put, they all involve post secondary instruction. Instruction that will be provided by vocational schools, community colleges, vocational schools, proprietary schools, colleges, and universities. So where’s the ‘Common Core’? Goal #1: Streamlining must occur! “The commission recognizes that North Carolina’s public workforce development system is a key part of the state’s economy. It is comprised of a variety of programs with a broad range of activities that serve a diverse group of people. It includes a group of interactive and interdependent entities, programs, and services. Activities range from self-service activities online, to staff assisted services in a workforce office, to multi-year training programs at a public school or community college. In addition, programs serve people with varying levels of education, employment experience, and barriers. Individuals may participate in a single program or activity or may be eligible to receive services through a variety of programs and entities. The system exists to help businesses find qualified workers to meet their present and future workforce needs and to help individuals gain the skills and training they need to obtain and maintain employment.” How is all this to be accomplished?  ‘Align partner services and strategies.  Develop a common brand to be used across workforce programs that is recognizable to all customers.  Increase awareness of and accessibility to workforce services. Goal #2: More of Goal #1, but leading up to Goal #3. Basically we MUST have economic (the Great Recession of 2007) prowess again. Workforce will get us there.  ‘Strengthen career development services and ensure consistency across programs.  Enhance programs and enrollment in critical career clusters by targeting resources.  Strategically coordinate programs among workforce partners to develop skill and education pathways. ‘it is essential for the state’s workforce programs to target its limited resources to careers in high-growth and emerging industries. Providing consistent information to individuals and strong programs in critical career clusters will not only help individuals find good-paying jobs, but it will also help businesses find the talent they need to growth their business. One of the best ways to help individuals gain skills and learn more about a career is through work-based learning. These programs combine classroom education with on-the-job experience and individuals gains valuable work experience while learning new skills. This is the last of the 4 goals the NC Workforce Commission published. By far the most compromising..at least for the students who end up in the Workforce. The Report shares with you, the reader, that it used to the U.S. Department of Labor was the only one receiving Workforce data. But, as we know, that’s about to change. The U.S. WIOA 2014 (the Workforce Innovation and Opportunity Act of 2014), as I’ve written about will take the U.S. Dept. of Ed’s Student Longitudinal Data System and merge with it. In some states it’s already happening. In others states, it’s just taking off, and in some states, it hasn’t begun yet. Workforce will be in all 50 states. 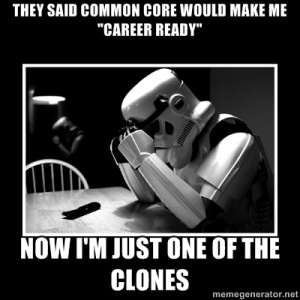 So, if you state didn’t adopt CCSS, you’ll get in via Career Pathways or those Career Clusters. 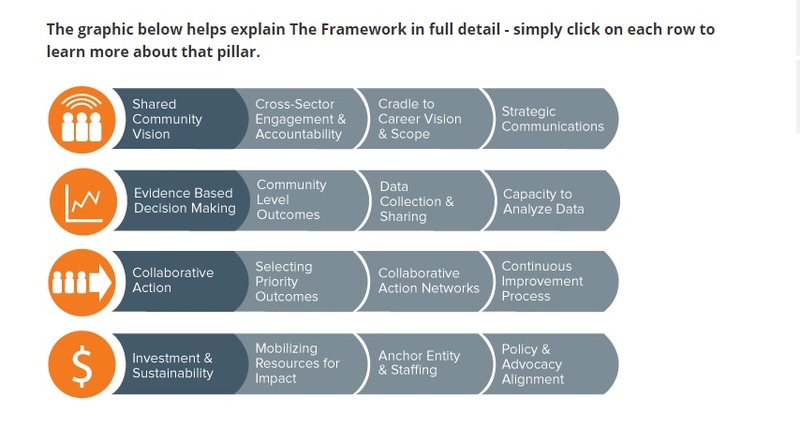  ‘Develop a consistent and coordinated approach of identifying critical career clusters that workforce system partners will use to target resources to meet the needs of the economy.  Gather, evaluate, and utilize information on the usage and quality of services. Justification for all this data? Accountability. Being accountable means rigorous measuring. Because if we can’t measure rigorously, how will we know that the Workforce is going to fit the agenda? The last paragraph or two details how it’s the Commission who will plot, plan, and begin the chain of implementation in NC. They have the Governor’s ear. They have the General Assembly’s attention. It also involves Common Core. So What About Your State? Find out what the name of your Workforce Commission is. Find out who serves on it. Discover their plan by finding their report. Do they answer directly to a particular branch of government or person? Is there any voter say in the matter or is all this assigned? We, here in NC, get told what is up, there isn’t a vote about it. Finally, remember, each Thursday, since I began my blog, there has been an article each week about CCSS post high school. I’ve got a brand new report to share next week that will undeniable confirm what some still deny…that CCSS isn’t post high school! I love research. I always have and will continue to love it…especially when it leads me to so many off the beaten path locations where Common Core and Career Pathways intersect. Frankly, any place CC and post high school intersect. Why? Because we’ve been fed the line so often of how CC is only K-12! ‘Cow chips and bull feathers’! If you’ve not heard of this particular program, it’s okay. As we have learned in researching the CCSS, we have come to know there are SO many MORE programs, initiatives, agendas, and departments involved in it, that almost daily, we’re finding something new. This particular project (as I’ll call it) is from, the Dept. of Labor. However, like all the other Career Pathway, CTE (Career Tech Education), or Workforce programs, etc., they are also tied to the U. S. Dept. of Education using Common Core as their tool of choice. Recently, I shared much of my research with you on this very subject. “Workforce3 One, sponsored by the U.S. Department of Labor/Employment and Training Administration (ETA), is an on-line interactive communications and learning platform designed to build the capacity of the Workforce Investment System. Members include the public workforce system and its strategic partners, such as employers, Federal agencies, community- and faith-based organizations, and educators. Workforce³One supplements other technical assistance provided by the Employment and Training Administration’s national and regional staff to build the capacity of the workforce investment system to successfully meet the employment needs of America’s workforce and employers.” (see the rest: https://www.workforce3one.org/page/about). Much like any of the connectors to CCSS, there’s a back story. This ‘WF3One’ is no different. In fact, it’s roots come from a Workforce Strategy Center’s “Building a Higher Skilled Workforce: Results and Implications from the BridgeConnect National Study”. Support for the Study came from the Joyce Foundation, back in November 2010. If you aren’t aware, bridge programs, as defined by the Study, “Bridge programs are a 21st-century idea for helping prepare low-skilled individuals for jobs that require more education. Known by many names—integrated education and training, contextualized learning, embedded skills—bridge programs assist students in obtaining academic, employability, and technical skills they need to enter and succeed in postsecondary education and training and the labor market”. The goal? Assisting the student in career track employment, employability, or postsecondary pursuits. Supporting all this for at least a decade (remember, this was published as ‘new’ information back in 2010) were: Lumina Foundation for Education, Bill and Melinda Gates Foundation, Annie E. Casey Foundation, the Ford Foundation, the Joyce Foundation, Charles Stewart Mott Foundation from the private sector. From the U.S. Federal level, setting policies, U.S. Dept. of Ed, U.S. Dept. of Labor. From the state policy setting level, IL, TX, WI, WA, and others (not identified) were also key in moving this along. Nine paths contained in more than any one of the 16 Career Clusters featured in ‘Common Career Technical Core’ (known as “CTE” for short) are named in the Study. For a refresher, those 16 Career Clusters are Agriculture (Food and Natural Resources), Architecture and Construction, Arts (including A/V Tech and Communications), Business Management and Administration, Education and Training, Finance, Government and Public Administration, Health Science, Hospitality and Tourism, Human Services, Information Tech, Law (Public Safety, Corrections and Security included), Manufacturing, Marketing, STEM (Science, Technology and Math), Transportation (includes Distribution and Logistics). Of the states participating, they reported community colleges and high schools were the biggest partners in helping create the bridges. The largest funding source, federal funds under the “Adult Education” (included Family Literacy, community colleges as well as K-12 schools). Next Stop, “Career Ladder” or “Competency Pyramid”? What if you prefer the ladder? Well, that tool bases itself off your pyramid. It details for you the differing jobs available to you in your cluster of career choice. Then, how viable the job will be (as in will always be needed, etc. ), how much you’ll earn at said job, how many years or levels of schooling you’ll need. I’ve given you the link for the Healthcare Cluster (as that is the one field tying Affordable Health Care, Workforce, Common Core, and STEM together in a nice big bundle). If you’ve not heard it before now, know that the GED has been aligned to the Common Core Standards as of 2014. 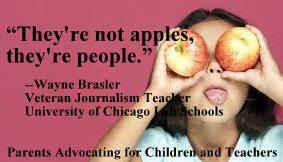 Read about it from my fellow anti CCSS buddy, Lady Liberty1885, who posted the announcement back in July 2014. Named in this study are more bridge projects, as well as the attempt to align Adult Ed to CCSS. I previously wrote about the community colleges aligning to CCSS, so any adult (remember, 22 or older) attending will be introduced to CC there. However, it appears more Adult Ed aligning is still in the works (see page ES-6). Courses will be aligned to career tracks, as we well know by now. Where this study is a bit different is it also discusses those concurring credit bearing classes or courses all kinds of students take. OH, I’ve failed to mention that in my research based opinion, the title of the study is very presumptuous. NOT every student who takes the GED is a high school dropout. To suggest such is a sign of misinformation. There is so much in this report, you’ll need to read it for yourselves. Just know you’ll see MORE rigor, MORE streamlining, MORE aligning of outcome based education, and finally, MORE college/career readiness! To name a few well known offenders: Pearson, Scholastic, Crayola, Lego, Walt Disney, Dell. Last stop, Carnegie Corporation of NY! Standards offer school systems an historic opportunity to reshape themselves to support innovative school designs and replace today’s outmoded, industrial-model secondary schools.” It is further stated that the Standards (both CC and Next Gen) are catalysts for change. This report even uses the ‘pipeline’ reference for students. UGH! If you know anyone who needs more cow chips, load up with this one. Need a makeover? This report has 10 suggested guidelines designed to makeover schools. I won’t mention all of them, so be sure you read the Report. You wouldn’t want to miss these guidelines: “Be porous and connected”, a fancy way to say community learning centers. “Develops and deploys collective strengths”, sorry, this sounds more like I’m in the military. You’ll see the usual buzz CC phrases here as well. So, did we ever discover why the strange title for Workforce? I didn’t see a ‘smoking fire’, did you? Well, while we won’t find what the 3 One means from above, there’s a WF 3 One You Tube channel, full of all kinds of information. Here’s one way the ‘ease of use’ for job seeker and employer are sold..all with no mention or hint of Common Core. As always, have a lead, tip, hint or suggestion, leave a comment (as long as it is civil). Have a story to share? I can help! Happy Monday, my anti CCSS Warriors! Fighting against the illegal, inappropriate, and downright WRONG that CCSS is, day in and day out, can leave us weary. Warriors need care and feeding to remain strong. Today’s Musings is an update ‘recipe’ of what I envision would be appropriate to keep us firm, fit, and faithful to our cause of fighting the CCSS Machine! So, let’s get our ‘kitchen’ ready! Have a great day out there!! Earlier this year, I was feeling a bit creative when faced with the challenge of a way to get a message across to those I help lead via a small grassroots group devoted to preserving the integrity and excellence in education. I’m the type of person who likes the slightly off-beat ways of making an impact. So, I’m sharing with you my “Recipe for a Common Core Warrior”. As with any recipe, make it your own and SHARE it. Using the sense, truth, and clarity, mix well. Spread this among the fellow warriors. Use your 2 hands as often as possible to seek out resources, pitch in and help others, unite together to protect our students, and take back our Constitutionally protected rights! Use your 7 doses of longevity weekly to help you plan out those media outreaches. Follow up with as many on-line or in-person group rallies or phone calls as you can. There’s safety in numbers, warriors! Combine all of the above well, ‘bake’ until everyone is ready to ‘dish’. Serve immediately. Repeat as often as needed. Alone is ok, but why? How many of us have been waging war against Common Core in all its forms? The answer, untold numbers. Are most of us fighting it alone? Answer: NO. Yet, answer this, how many times do we FEEL alone in this war? If you’re like me, the answer is plenty of times. After all, this is what I am supposed to be doing in my ‘spare time’. However, when you add my contributions to yours, then we add ours to others, look how FAR we’ve come!! ‘WE’, in this fight, is so much more of a presence than ‘I’. How can you help a fellow CC warrior continue to ‘duke it out’? Support each other, attend as many events TOGETHER as possible. When I starting researching the push for national standards, (2009) almost no one I knew was there to pitch in. I had a few willing to listen. Fast forward to 2014 and I’ve not only met many willing to pitch in, but many standing shoulder to shoulder with me. Of all the crap Common Core has stirred up, I’m thankful and grateful for the fine, level headed people I’ve met who are not afraid to be uncomfortable in this fight. People like Nicole, Andrea, Kim, Missy, Dave, Guy, Laurie, Lindalyn, and the list goes on. These folks have devoted so much of themselves to helping get the truth about Common Core into the hands and minds of others. Since the original article, I’ve met many MORE fine, level headed anti CC Warriors! Our group grows daily. Thank you!!! Thank you for helping fight Common Core! In a word, ‘no’, we’re not. However, as long as we are there to continue to hammer away at the lies, work arm in arm with each other. WE can get there! We know our purpose: ridding our country of a nightmare that not only kills a love of learning, but harbors deeper, uglier roots. I leave you today with a link to a video that, I hope, will remind you who we’re fighting for (all students). It features Whitney Neal, who at the time was with Freedom Works.